WASHINGTON D.C. – The Federal Communications Commission voted 3-2 Thursday to place caps on how much inmates in jails and prisons can be charged for making phone calls. The new caps will help inmates and their families, many of whom struggle with finances because of poverty or the loss of a breadwinner, and help them stay in touch with each other, said Commissioner Mignon Clyburn, who championed the rule. “The system is inequitable. It has preyed upon our most vulnerable for far too long. Families are being further torn apart and the cycle of poverty is being perpetuated,” Clyburn said. The issue was a subject of a recent Oklahoma Watch investigation earlier this year. The move by the regulatory agency comes after years of criticism from prisoners’ families and advocacy groups, who say prisoners and their families are charged exorbitant amounts of money to stay in contact because of high telephone fees imposed because of agreements between prisons or jails and telecommunications providers. In some cases, prisoners and their families have reported being charged nearly $13 for each 15-minute call, although amounts charged vary among states, jails, prisons and phone companies. In Oklahoma, inmates in Department of Corrections custody have paid $3 for a 15-minute call, or around 20 cents per minute. Of that, the department kept around $2.30, earning the agency a projected $32 million over 10 years. At the Oklahoma County jail, inmates have been charged 27 cents per minute for a telephone call. In addition to the per-minute fees, connection and other fees have often been added on to the calling fees. Many prison and jail officials, as well as telecommunications companies, opposed the caps, saying the funds generated go toward inmate programs and maintaining the telephone system. Department of Corrections Director Robert Patton and Oklahoma County Sheriff John Whetsel were among those who submitted letters to the FCC warning against imposing the caps. Corrections Department spokeswoman Terri Watkins said the department had not yet seen the measure passed Thursday by the FCC, and declined to comment. Whetsel said the FCC’s action would likely cost the jail budget more than $500,000 per year. In taking the action, the FCC may have overstepped its bounds, he said. The two commissioners who voted against the measure – Ajit Pai and Michael O’Reilly– said placing the caps is outside the statutory authority of the FCC. 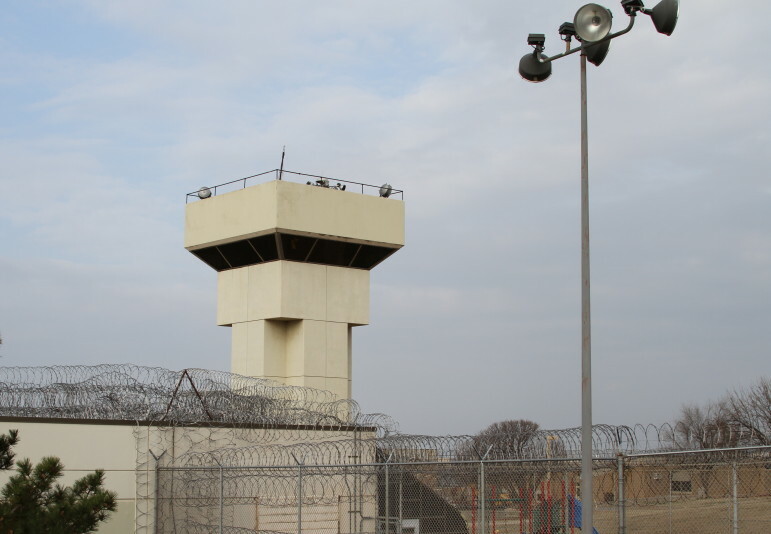 Pai also advocated that the FCC encourage development of technology that would help eliminate the ability of prisoners to use contraband cell phones. Commission Chairman Tom Wheeler countered that the reduction of prison phone fees would help do just that. “One of the incentives to have (contraband) cell phones in prison is the absurdly and usurious high prices that prisoners get charged for a basic right – to be able to communicate with their families,” Wheeler said. 11 cents per minute for debit or prepaid calls from state or from federal prisons. 14 cents per minute for debit or prepaid calls from jails with 1,000 or more inmates. 16 cents per minute for debit or prepaid calls from jails with 350 to 999 inmates. 22 cents per minute for debit or prepaid calls from jails with up to 349 inmates. In addition, the order limits ancillary service charges to a small list of permitted charges, While collect call rates are slightly higher than debit or prepaid calls, they will be lowered over the next two years. The rate caps will go into effect for prisons 90 days after the rule is published in the Federal Register, and 6 months after publication for jails.